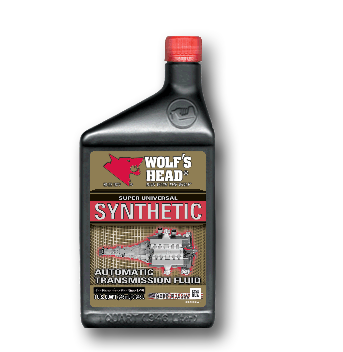 Wolf's Head Super Universal Synthetic Automatic Transmission Fluid is a full synthetic automatic transmission fluid that is now reformulated with even more universal applications in modern traditional Automatic Transmissions. It is by far the most dynamic member of Wolf’s Head family of high performance automatic transmission fluids. 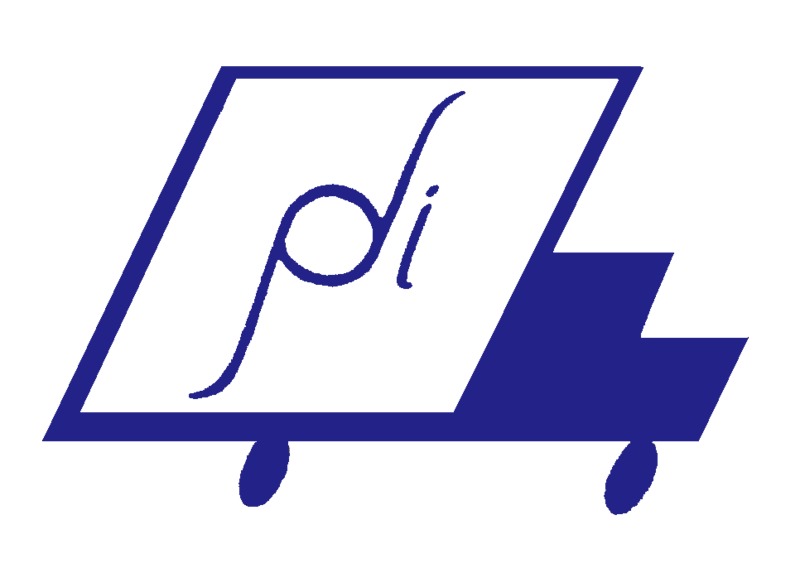 It is a special blend of synthetic base oils coupled with a multi-functional additive system and advanced friction modifiers to provide unsurpassed protection and reliable performance for all types of automatic transmissions, power steering units and hydraulic systems manufactured by virtually all of the automotive and transmission manufactures from around the world – the one fluid that replaces the confusion about which fluid to use in a multitude of automatic transmissions. Wolf’s Head Super Universal Synthetic Automatic Transmission Fluid is such a superior transmission fluid that it may be used wherever established fluids are required or specified by all OEMs around the world including but not limited to General Motors approved Dexron® fluids including Dexron® VI and GM T-IV; Ford Motor Company's Mercon® approved fluids including Mercon® V, Mercon® SP and Mercon®; Honda ATF-Z1, VTM-4, DW-1, DPF, Mercedes Benz, Mitsubishi Diamond SP II, SP III, SP-IV, and Toyota T-IV and WS and many others. 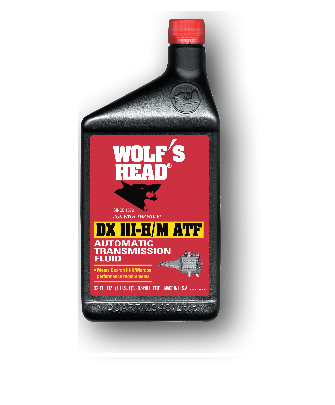 Wolf’s Head DX III-H/M Automatic Transmission Fluid is a premium multipurpose Automatic Transmission Fluid recommended for many transmission systems used throughout the world specifying Dexron®III H/Mercon ATF as well as Allison C-3 and C-4 fluids. 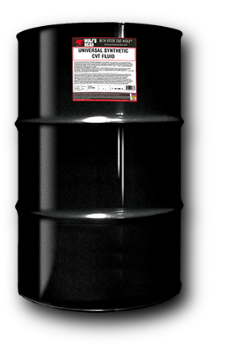 DX III-H/M ATF is recommended for use in all transmissions, hydraulic systems, and power steering units manufactured by American, European, Korean, Japanese and other manufactures from around the world specifying Dexron®III H/Mercon® and earlier Dexron®/Mercon® type transmission fluids. Wolf's Head Universal Synthetic CVT Fluid is designed for the new CVT transmissions, whether chain or belt, that need a fluid that protects against metal-to-metal wear that leads to belt or chain deterioration. This new CVT fluid is engineered to offer the highest level of protection against metal-to-metal wear. Actual side-by-side tests prove that Wolf's Head's new fluid technology out performs OEM CVT fluids and allows Wolf's Head to claim better protection against scuffing than many of these OEM fluids. Better anti-shudder performance and better anti-scuffing performance lead to longer life for transmissions, and quieter, more vibration-free operation. Like its big brother, Wolf's Head Universal Synthetic Automatic Transmission Fluid, the new Wolf's Head Universal Synthetic CVT Fluid takes the guesswork out of which CVT fluid to use in any CVT application; it is the most universal CVT fluid on earth and may be used in more applications than any other CVT fluid - one single fluid with superior technology for all CVT applications. 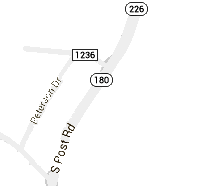 To see our Wolf's Head Motor Oils, visit Wolf's Head Motor Oils.